Watch our educational and entertainment videos – and learn about your plumbing system, or just smile along as we explore the mysteries and history surrounding "crappy moments" in time. With our wry and funny take on significant events, national holidays, and more, you can take a break with the pros at Roto-Rooter. In addition to our collection of entertainment videos, we also offer a wide range of informational plumbing videos that can help you solve an issue at your home or business, as well as 24/7 plumbing services. Available 365 days a year, our team of professionals will be there to help you any time, day or night. Call 1-800-768-6911 for an appointment. Roto-Rooter's experienced plumbers know that most people don't understand some aspects of plumbing. Our plumbers are used to answering questions from homeowners and they do their best to provide helpful answers. But some of the best questions our plumbers get come from curious kids who have even less understanding of how plumbing works than their parents. Watch as children ask funny questions in search of answers about toilets, tools and plumbing parts. 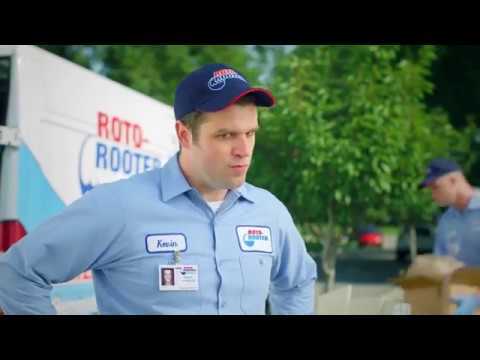 Watch this funny commercial from Roto-Rooter about the Titanic from Crappy Moments In History. Inspiration to become a plumber can start at any age after learning from the experts at Roto-Rooter! Restroom Manners | Grow Up!